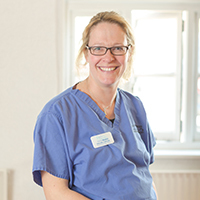 Rachel joined the practice in April 2016 having returned from maternity leave. Prior to that she worked for two local practices after completing her veterinary degree at the University of Edinburgh in 2013. She also completed a degree in Biomedical Sciences at the University of Leeds and worked for a multi national PR agency in the pharmaceutical sector. Rachel has two rescue pets; a cocker spaniel called Lola and a cat, Pickle. Outside of work Rachel enjoys spending time with her husband and young twin daughters, exploring the countryside with the dog and cooking.